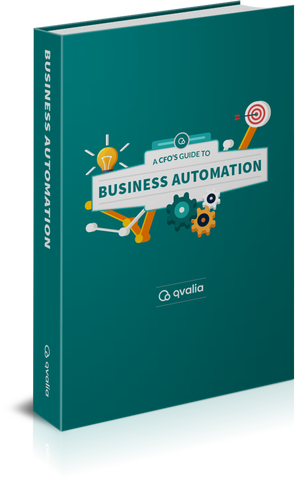 A CFOs guide to business automation. It's tricky for CFO's, finance managers, and accounts payable teams to know how to begin their digitisation journey. Where do new tools, processes, and even operating models create most business value? Technology has the potential for tremendous efficiencies across the organisation. The question is where to start? This e-book presents an approach. By placing finance, accounts payable and receivables processes in the driver seat, there is an opportunity to future-proof your organisation and automate your business. Fill in the form today, download the ebook, and begin your journey today. Qvalia helps companies take control of their data and automate their business. Our software platform and services provide a complete solution in transaction automation, from e-invoice management to accounting. For organisations of any size.